Eclipse MAT is a great JVM Memory Analysis tool. Here are few tid-bits to use it effectively. Based on my personnel experience, stand-alone version seems to works better and faster then plugin version. So I would highly recommend installing Stand-alone version. If you are analyzing a heap dump of size say 2 GB, allocate at least 1 GB additional space for Eclipse MAT. If you can allocate more heap space than it’s more the merrier. 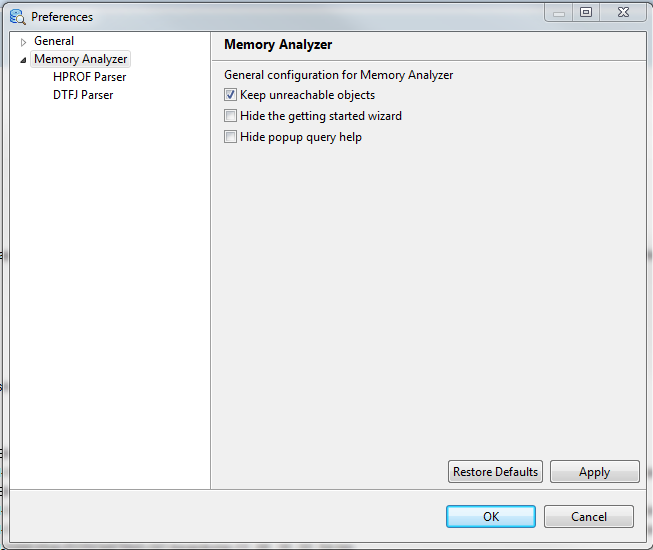 You can allocate additional heap space for Eclipse MAT tool, by editing MemoryAnalyzer.ini file. This file is located in the same folder where MemoryAnalyzer.exe is present. To the MemoryAnalyzer.ni you will add -Xmx3g at the bottom. From it’s reporting Eclipse MAT removes the object which it thinks as ‘unreachable’. As ‘unreachable’ objects are eligible for garbage collection, MAT doesn’t displays them in the report. Eclipse MAT classifies Local variables in a method as ‘unreachable objects’. Once thread exits the method, objects in local variables will be eligible for garbage collection. Eclipse MAT by default displays data in bytes. It’s difficult to read large object sizes in bytes and digest it. Example Eclipse MAT prints object size like this: “193,006,368”. It’s much easier if this data can be displayed in KB, MB, GB i.e. “184.07 MB”. Once this setting change is made, all data will appear in much more readable KB, MB, GB format, as shown in below figure. Fig: Eclipse MAT displaying of object size in KB, MB, GB after enabling ‘smart’ settings.